MANILA – Tax authorities in the Philippines are keeping a close eye on the development and implementation of the mining and carbon taxes around the world, saying that similar measures could soon be implemented in the country. 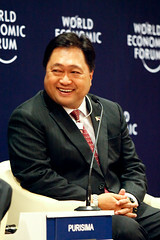 Following a Cabinet meeting over the weekend the Finance Secretary of the Philippines Cesar Purisima said to members of the press that the national tax authorities are currently investigating the feasibility of applying on country’s mining industry a new taxes on carbon emissions and the use of mineral resources. The Finance Department of the Philippines is investigating a proposal made by Environment Department to see all of the country’s mining sites reclassified as mineral deposits, allowing the government to collect a new 5 royalty tax on profits earned. Under current regulations, mining operators are faced with a 2 percent excise tax on their profits, along with the regular taxes levied on businesses operating in the Philippines. The government is also looking at instituting a carbon tax system, which would see the country’s top polluters charged a preset levy, which will be calculated per ton of pollutants released into the atmosphere. According to Cesar Purisima, the government is monitoring the development of similar tax measures around the world, and especially in Australia. He explained that if the taxes seem applicable to the economic and business situation in the Philippines, they will be added as soon as possible. However, the Secretary conceded that the measures could still be years off, as any new taxes would be required to be legislated by the national Congress. The mining industry has already stood up against the prospect of new taxes being implemented, claiming that the government already receives a fair share from the revenues of mining operators. Rocky Dimaculangan, vice-president for communications of the Chamber of Mines of the Philippines, suggested that instead implementing new taxes, the government should focus on improving tax collections and compliance of small mine operators, and reducing the occurrence of illegal mining operations.